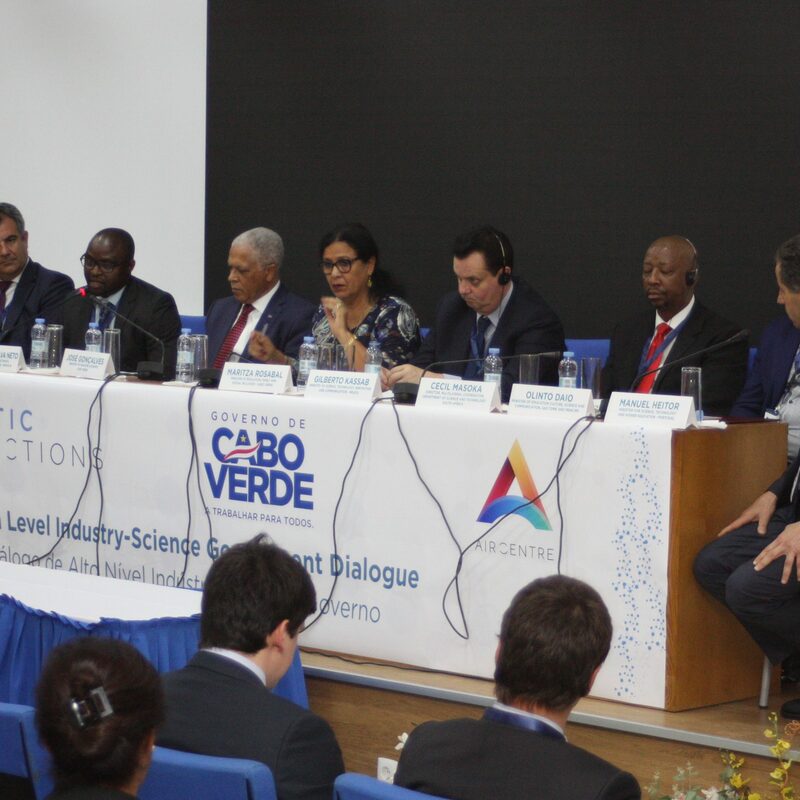 The 3rd High Level Industry-Science-Government Dialogue: Implementing the Atlantic International Research Centre that took place in Praia, Santiago Island, Cape Verde, on May 7-8, 2018, was a very productive meeting, with more 120 participants coming from 13 different countries. The programme included a day of Plenary Sessions and a second day with 4 workshops sessions covering a wide range of scientific topics related to space, ocean, climate, energy and data science. The “Praia Declaration” was signed by high level representatives of governments, research organisations and industry. Rosalia Vargas, Ciencia Viva, Portugal – Democratization of Science. Fernando Lobo Pereira, FEUP, Portugal – EU Marine Robotics. Cecil Masoka, Director, Multilateral Cooperation, Department of Science and Technology, on behalf of Nicole du Plessis, SAEON, South African Environmental Observation Network, South Africa – Building Academic Networks in South Africa and Abroad (pdf, 1.4 Mb). Ana Noronha, Ciencia Viva, Portugal – Science culture and education. Josep Pelegrí (CSIC), Spain – Some examples of Spanish monitoring initiatives (pdf, 2.2 Mb). Rui Patricio Freitas (University of Cape Verde), Cape Verde – Challenges of Coastal Oceanography in Cape Verde (pdf, 4.6 Mb). Earth observation in the Atlantic Ocean and coasts: from deep sea to outer space: Developing tools for informed policy making, business development and citizen participation.